Summer Park Vinnies. They have the warehouse for the western diocese so the store tends to have lots of toys and board games. I’ve only ever seen movie transformers and roleplay toys when I’ve been there though, they don’t seem to last long. Special offer: 40% off the 2nd toy when you buy 2 toys. Studio Series Voyager and Deluxe at Garden City ToysRUs.... heaps of each... except no Stingers. I really hope they aren't being scalped. Even though there is some demand for it being the first real toy of that character, I can't imagine several people going in there to buy one Stinger and not buying any or much of the others. When I first found the studio series figures I walked out having only bought Stinger. But that’s because I couldn’t afford anything else at the time. So, it IS possible that Stinger is just one of the more desirable figures. At least in the Deluxe wave. Crowbar is a remould of Berserker, who didn’t sell that well and can still be found on shelves. Bumblebee is ANOTHER Bumblebee. And then red sports cars may just be more appealing than green-ish ambulances. 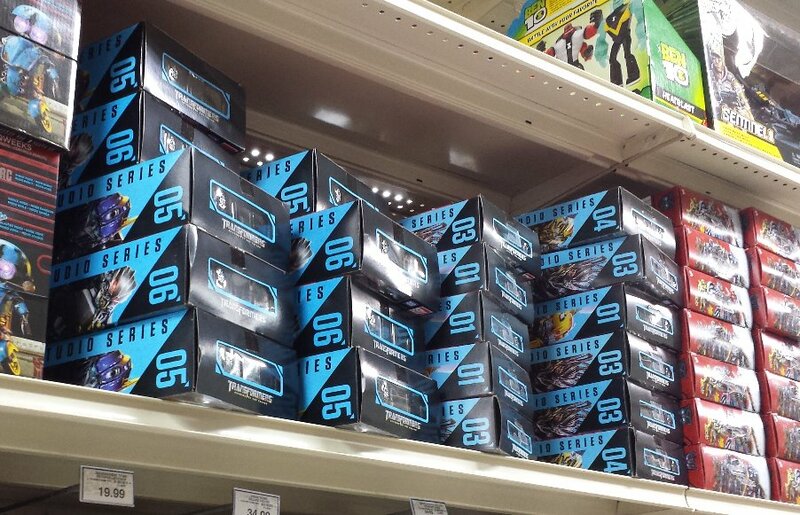 TRU Aspley had at least two units of Studio Series Stinger in stock on Friday morning. There could have been more. 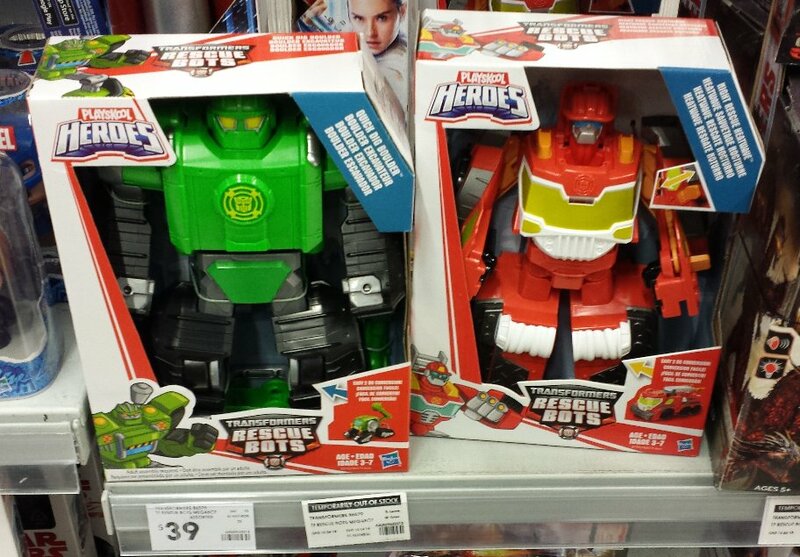 Wave 1 Deluxe and Voyagers were all in stock. Myer Carindale had the full suite of Studio Series, with plenty of each figure. Cashier manually keyed in the current 40% off toy promo with no issues. Big W and Target were very bare with nothing new. "sometimes the things you see might not be real and the things that are real you might not see"
ToysRUs - as noted above, they had a fair few Studio Series toys in stock, but no Stingers. And no Leaders (maybe removed if they weren't scanning... or snapped up first). Shelf tags - Deluxe were $30, Voyager were $50, Leader were $90. Nothing else new to report there. 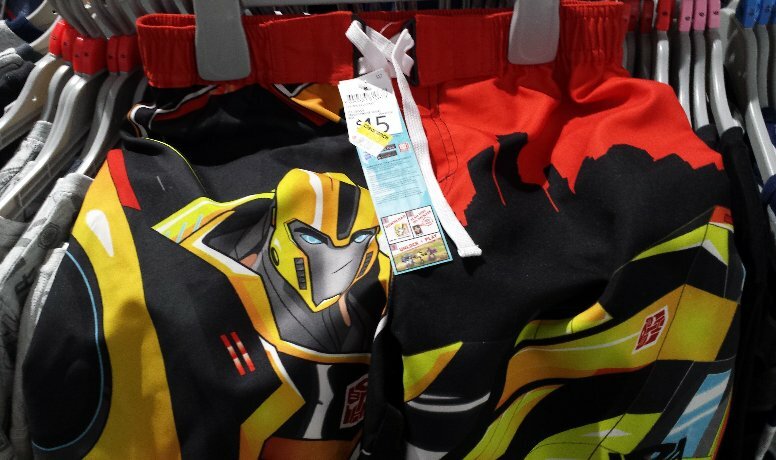 Peter Alexander - had pretty much sold off all of the Transformers clothing they just got in a few weeks ago... probably thanks to the clearance prices, like $15 for the $70 tops. They had two Bumblebee grey shirts, about five of the pink Bumblebee girls sleepwear tops, and one of the long leg pyjama pants. Target - RID was on sale. Including the boys shorts, which were $9 from $15. And all of the Transformers PEZ at the front of the store were gone, with just Toy Story ones left. Kmart - The toy section has been moved around, and Transformers is in a different area of the store, so it took me a few minutes to find it. There were eight "out of stock" labels, but there was stock there for seven of them, covering up prices that customers need to see. Myer - Like ToysRUS, had Studio Series Deluxe and Voyager only. Unfortunately, their Deluxes were $35, so with the "20%" off discount, it only brought them to $2 less than ToysRUs' $30 price. Woolworths - finally found the Authentics domestically here (for $10 each), but since I just received a set from HK this week from JustOwen, I was happy to not be paying $10 for these. They are much bigger than Legions or other $10-ish toys here, but their simple appearance and engineering makes these feel like the Cyber Series toys - cheap for their size, but VERY simple in design. 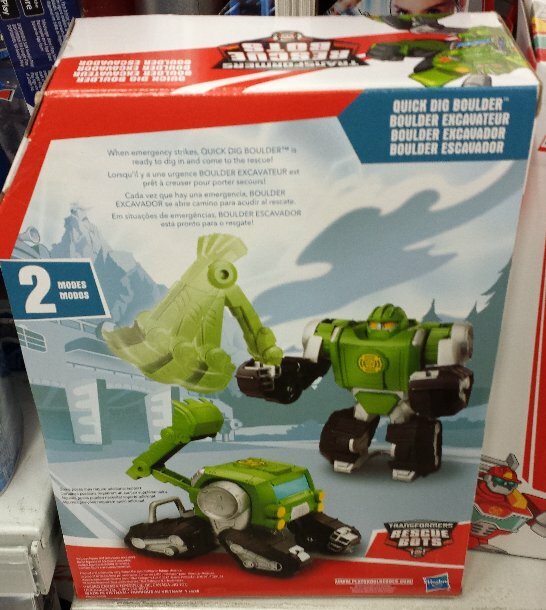 Sunnybank Kmart from the night before - heaps of the Rescan Rescue Bots, from the latest wave (all recent older figures, with the new Optimus truck). I also saw the new Star Wars and Marvel Mighty Muggs for $15 each, but not the Transformers ones... so I don't know if this means we aren't going to see them in Australia, or if they are still to come. These are the new type of Might Muggs, that has a push-down button on the top of the head that rotates the inner head to show one of three faces (a bit like that old MOTU Man-E-Faces toy, which had a turn dial on the top of the head). 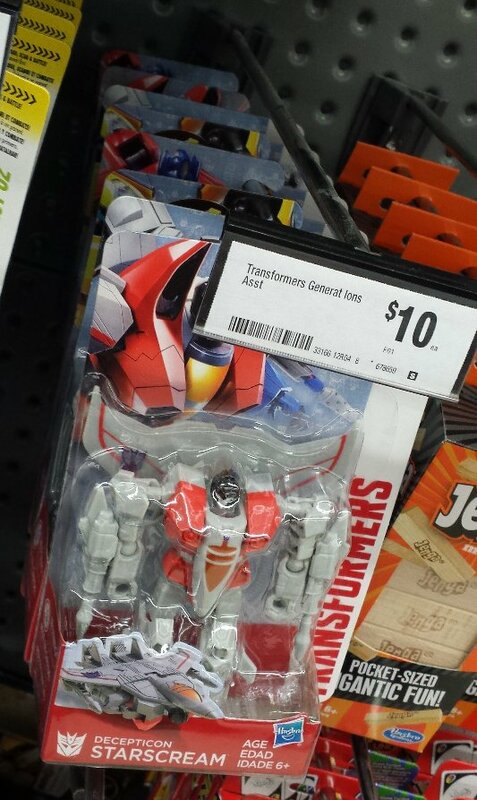 One thing I want to mention, for those with fan friends in America - I found a LOT of the last wave of RID Legions (Cyclonus and Heatseeker) yesterday, and this is a wave that didn't show up there... and may not, now that the toyline is pretty much over now. So if you know someone over there, see if they want some, to buy or trade... and note that Target have their sale right now, making them AU$5 - a saving you could pass on if you a trading with a friend, or a saving you can keep if you are selling/trading to a stranger. 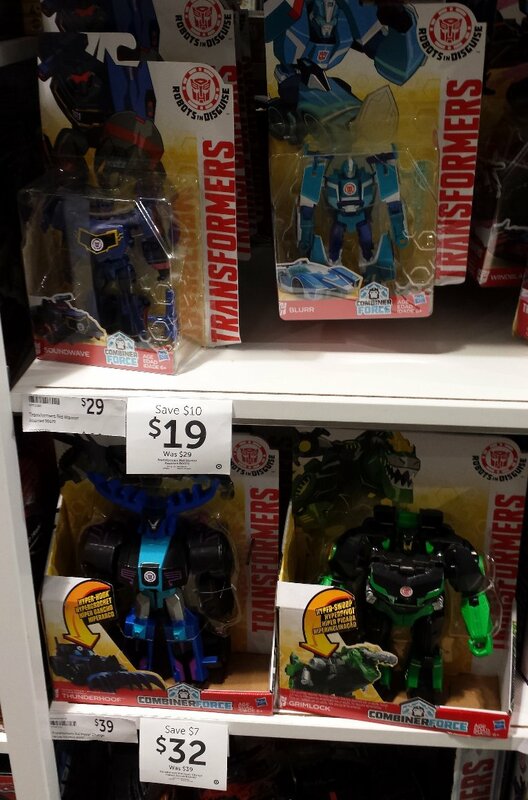 Myer Maroochydore has Studio Series Deluxes, Voyagers and Leaders, but they're out of Blackouts. By default, the 40% off second item didn't happen with these, but she was kind enough to put it in manually. 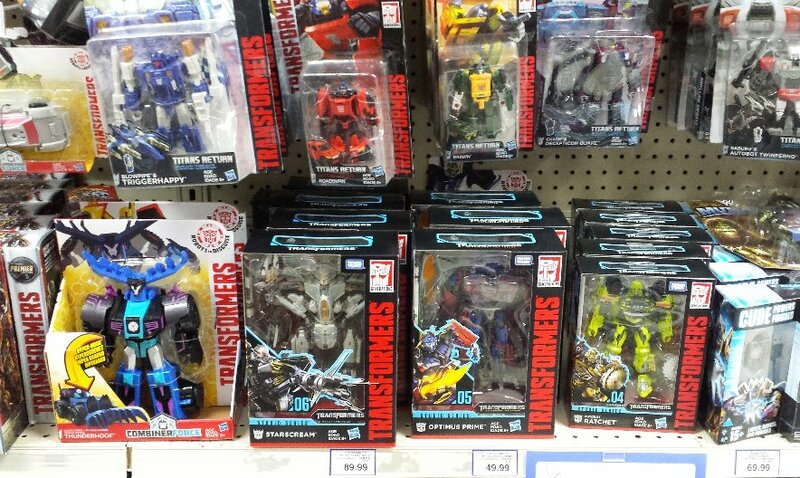 PoTP wave 1 Voyager and Leader class figures are back in stock at TRU Aspley. The Big W website is advertising wave 2 PotP Voyager and Legends-class figures. Anyone seen them in-store yet?